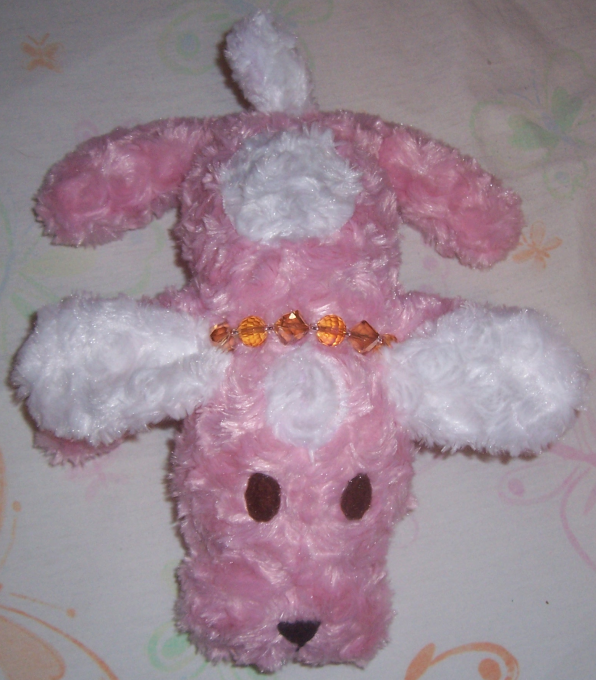 This is Amber, made from pink and white rose minky, with fleece eyes and nose and a necklace of amber-colored glass beads. She was made at 125% size and is about 10 inches (25 cm) long. 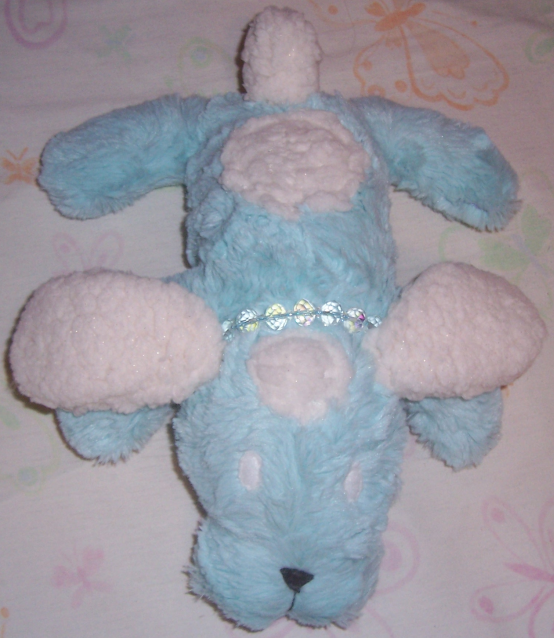 This is Crystal, made from blue rabbit snuggle minky and white sherpa with gold glitter, with fleece eyes and nose and a necklace of crystal-colored glass beads. She is the same size as Amber. 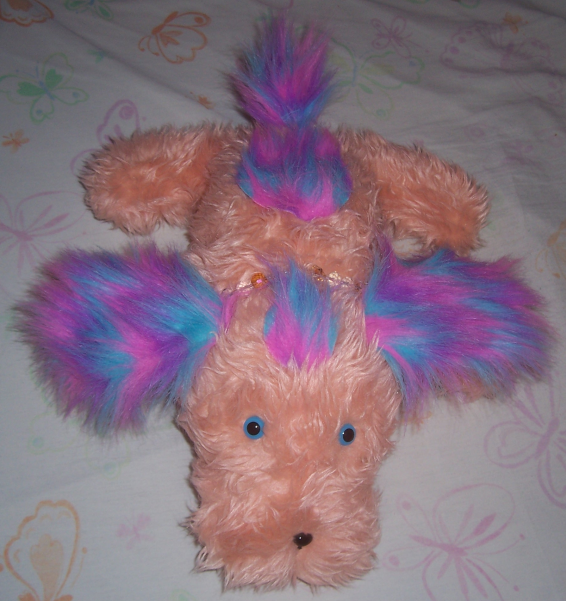 And this is Rainbow, made from pink and blue/purple/pink striped faux fur, with plastic eyes and nose and a necklace of both amber-colored and crystal-colored glass beads. There are also two crystal-colored plastic beads on her necklace. She was made at 175% size and is about 15 inches (38 cm) long. All three of them were mainly machine-sewn, have a hand-embroidered mouth, are filled with polyester fiberfill, and were made by me! Now I have made five Floppy Puppies total! I'll take a break from them for now, but I'd like to make even more sometime. When I do, I'll make another blog entry about them. Take Heart and Anthony7 like this.